BlackBerry shipped total 6.8 million smartphones, which was up 13 percent sequentially from the previous quarter. However, less than half of those were BlackBerry 10 devices. The numbers suggest that demand for BlackBerry 10 devices has cooled significantly since the company shipped 1 million Z10 handsets at launch in March. During their quarterly conference call, BlackBerry executives did not break down how the all-touchscreen Z10 performed compared to the keyboard-equipped Q10. But the company did reveal that BlackBerry 10 will not be coming to its PlayBook tablet, which competes with Apple's iPad lineup. CEO Thorsten Heins cited "performance and user experience" concerns as the primary reasons. Less than half of the smartphones shipped by BlackBerry last quarter were running the company's latest operating system. A leak from the company in March suggested that BlackBerry has a new tablet in its 2013 product roadmap. First introduced in 2011, the PlayBook has failed to capture a meaningful piece of the tablet market, and BlackBerry was forced to eat $485 million in inventory as a result. Shares of BBRY stock were down as much as 25 percent in pre-market trading on Friday. 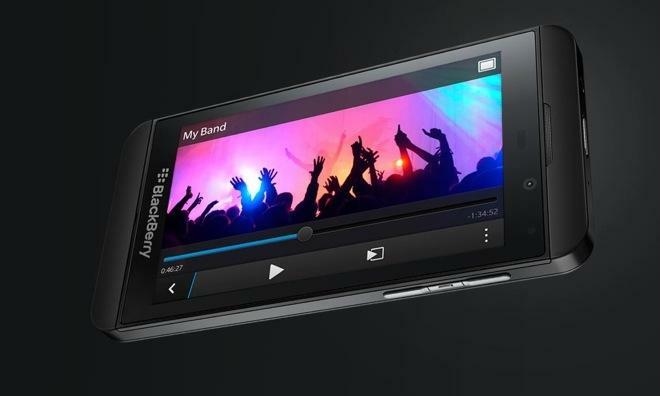 Investors had hoped that the company would ship more than 3 million BlackBerry 10 handsets in the three-month frame. While BlackBerry struggles in a smartphone market where it was once a major player, Apple saw shipments of 37.4 million iPhones in its most recent quarter. As BlackBerry diminishes and Microsoft struggles to gain traction with its Windows Phone platform, the smartphone space has increasingly become a two-horse race between Apple and Samsung. "During the first quarter, we continued to focus our efforts on the global roll out of the BlackBerry 10 platform," Heins said. "We are still in the early stages of this launch, but already, the BlackBerry 10 platform and BlackBerry Enterprise Service 10 are proving themselves to customers to be very secure, flexible and dynamic mobile computing solutions. "Over the next three quarters, we will be increasing our investments to support the roll out of new products and services, and to demonstrate that BlackBerry has established itself as a leading and vibrant player in next generation mobile computing solutions for both consumer and enterprise customers."